Brought up in southern Alberta, Darlene Foster dreamt of writing stories, travelling the world and meeting interesting people. 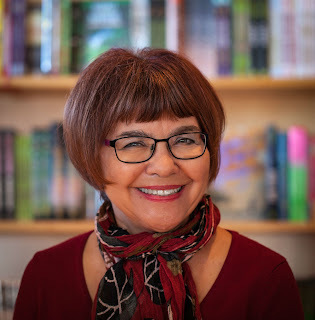 It’s no surprise that she’s now an award-winning author of short stories, travel articles and the exciting Amanda Travels series featuring spunky 12-year-old Amanda Ross who loves to travel to unique places. 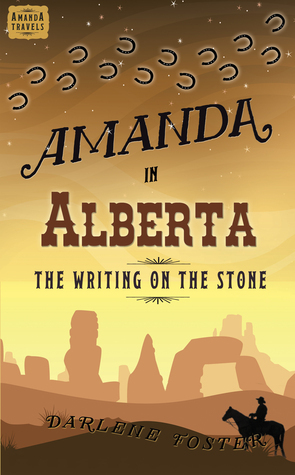 Readers of all ages enjoy travelling with Amanda as she unravels one mystery after another. 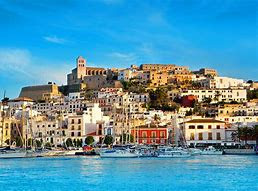 When she isn't travelling herself, Darlene divides her time between the west coast of Canada and the Costa Blanca, Spain with her husband and entertaining dog, Dot. She believes everyone is capable of making their dreams come true. 4Q: For those unfamiliar with your heroine, Amanda Ross, tell us about her. 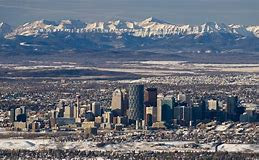 DF: Amanda Jane Ross is a twelve-year-old girl from Calgary, Alberta. She lives with her mom and dad, both accountants and partners in an accounting firm. They work long hours. Her life is pretty ordinary. An only child, she is bored and lonely. She enjoys cooking, often prepares the meals at home, loves to read and has a great imagination. She wishes for travel and excitement on her twelfth birthday as she blows out all the candles on her cake. The next day she receives tickets in the mail to visit her aunt and uncle who work in the United Arab Emirates. That is when her life changes. In the UAE she makes friends with an English girl, Leah, and has an adventure of a lifetime. Her curious nature and eagerness to help people tends to get her in trouble. 4Q: Please tell us about The Amanda Ross Traveling Series. DF: In the UAE, Amanda purchases a mysterious perfume flask, tries to help a beautiful princess, befriends a loyal camel and is chased across a dangerous desert by bounty hunters. After this exciting experience, Amanda is eager to travel and see more of the world. She jumps at the chance to meet Leah in Spain, where they attempt to help a young Spanish girl escape the clutches of a mean horse thief. Leah invites Amanda to visit her in England, where they get lost in a maze, hide in an underground tunnel and ride the London Eye while searching for a missing vintage novel. When Leah visits Amanda in Alberta, they enjoy the Calgary Stampede, Head-Smashed-in Buffalo Jump, and an amazing dinosaur museum, while trying to decipher the mysterious writing on a stone and keep it from getting into the wrong hands. Amanda and Leah go on a river cruise down the Danube with their families. Along the way, she meets a homeless young musician who gives her a valuable violin for safe keeping which turns out to be more difficult than she thought. 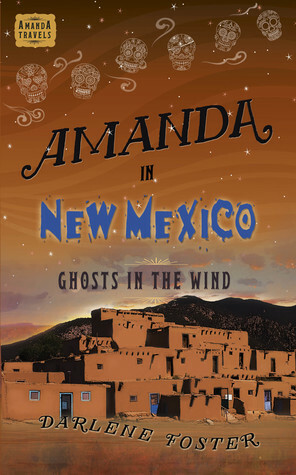 Wherever Amanda travels, she learns about the history and culture, meets interesting people and encounters mystery and intrigue. DF: I have many fond memories of my maternal grandmother. I was her first grandchild and I know she loved all of us, but she always made me feel special. She lived in the city, about one hour from our farm, and I loved to stay with her whenever I could. On one visit, Grandma took me downtown shopping. We went to Woolworth’s where I found the most amazing colouring book, filled with pictures of children from all over the world wearing the traditional dress of their country. I had just enough spending money to purchase it. I couldn’t wait to colour the lederhosen, kimonos, flamingo dresses, wooden shoes and sombreros. Laden with packages, we took the bus home. When we got to Grandma’s place, I eagerly searched for my book in amongst the bags, but it wasn’t there. I was devastated. The next day my dear grandmother took me back downtown on the bus and bought me the last International Children colouring book on the shelf. I treasured that book and dreamt of visiting all those fascinating places as I coloured the pages. 4Q: Every author has their favorite spot to write, they either listen to music or must have complete quiet, prefer a Mac over a PC. What’s the ideal place and setting for you Darlene? DF: Like Virginia Woolf, I simply need a room of my own to write. We converted the second bedroom in our small house in Spain into my office where I can close the door and write to my heart’s content on my laptop. I don’t need complete quiet but I can’t have loud noises either. I find once I’m really into my story, I can block out most noises. If it is nice outside, and it usually is in Spain, I will often take a notebook and pen, sit on my terrace and scribble down a chapter or two to be typed up and polished later. I also like writing longhand while I travel - trains, planes, automobiles or boats, it doesn’t matter. I feel inspired while travelling and there are few interruptions. Thanks for inviting me to be a guest on your blog, Allan. Amanda stepped outside. She looked around for Caleb, but he was nowhere to be seen. The wind got colder and stronger. She zipped up her jacket and pulled the hood over her head, glad she’d listened to Ms. Bowler’s advice. She took pictures of the San Geronimo church and then continued on to a ruin tucked behind houses. Crumbling gravestones and weathered wooden crosses were scattered around the remainder of a damaged brick bell tower. Among the weeds lay broken gravestones and crosses that had fallen over. Amanda felt a sudden sadness wash over her. She pulled out her map and guide. It explained that the ruin was the original San Geronimo church, destroyed by the soldiers in retaliation for Governor Bent’s murder. Only the battered bell tower remained standing. The graves belonged to the many who lost their lives in the fight. The sun went behind a cloud. Tall grass leaped around the crosses as the wind whistled a mournful tune. Amanda shuddered. A harsh breeze pushed her forward. Looking up at the sky, Amanda felt the wind push her again and she tripped over a rock. She stumbled hard into the low adobe brick wall surrounding the cemetery. Another shove sent her right over the fence. Her head hit a fallen brick. She saw stars before everything went black. Thank you for being our guest Darlene. For you readers that are curious to know more about Darlene and her novels, please follow the links below. Thanks for featuring me on your blog! Love the pictures you chose. It's my pleasure to have you as a guest Darlene. Thank you for being so cooperative and supportive of the Scribbler. No problems yet. Blogger has been easy and safe to use. Great anecdote, Darlene. Allan--nice interview! Thanks for visiting Jacqui. It's a pleasure having Darlene here. Perhaps you would consider being a guest as well. Jacqui would be a perfect guest for your blog, Allan. Her book is so good. How lovely to see DArlene featured here, Allan. My son and I have enjoyed a couple of Amanda books together. Darlene, you grandmother sounds like she was a wonderful woman. Thanks for visiting Robbie. It's fun having such great people here like you and Darlene. My grandmother was amazing. She left us way too early, only 68. I think about her most days and was happy to share this memory. Thanks so much for featuring ma and my books here on your blog, Allan. It's a real treat Darlene and the response has been terrific. You're a popular lady. Hope this helps to reach some new readers. Nice interview. Love the Grandmother anecdote. She sounds perfect. Thanks, she was a very special woman. Glad to share a story about her. Thanks for stopping by freewriter. Enjoyed this interview and finding out more about Darlene. Didn't realise you had F.W Woolworth in Alberta, Darlene. Woolworth's is sadly no longer in existence. Thanks for visiting Stevie. 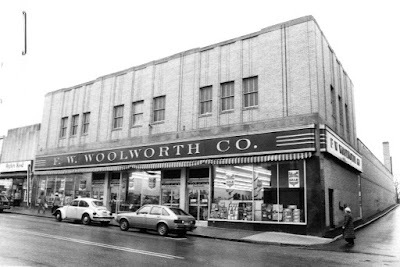 We had a Woolworth's in Moncton, NB when I was younger.I remember the lunch counter. 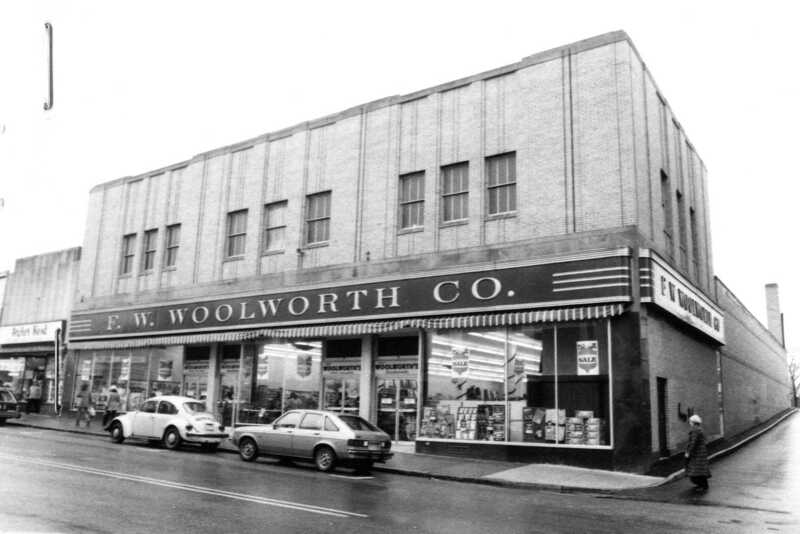 Yes, we had Woolworth's in Canada way back when. They haven't been around for a long time though. Glad you enjoy learning a bit more about me. The much longer version of the story features that famous lunch counter. Didn't they do the best banana splits?? Very nice interview, Darlene, and I've learned a bit more about you and your books. Thanks, Allan, for featuring Darlene here. Thanks for visiting Natalie. It's fun to learn about our fellow authors. Thanks, Natalie. Now you know more about me! Great interview Allan - Love the coloring book anecdote...little did her Grandmother know how inspirational that coloring book would be in her future writings!! Thanks for visiting Kirt and your kind comments. I do hope Grandma is smiling down on me and realizes she helped inspire that love of traveling and writing about it. Thanks for your comments Kirt. I love the interview. I remember going to Woolworths as a kid. Didn't realize you enjoyed writing long-hand sometimes. Author Kristin Hannah writes all of her first draft of her novels by long-hand. Glad you enjoyed the interview. I think writing long-hand from time to time inspires new thoughts and ideas. I wouldn't be able to write the entire book that way though. I did it myself using Google's Blogger - very easy. Thank you for visiting. a part of your name for having a bright profession ahead.